Younger choirs can now enjoy the powerful and dramatic music from the celebrated Andrew Lloyd Webber musical with this medley of highlights from the show. 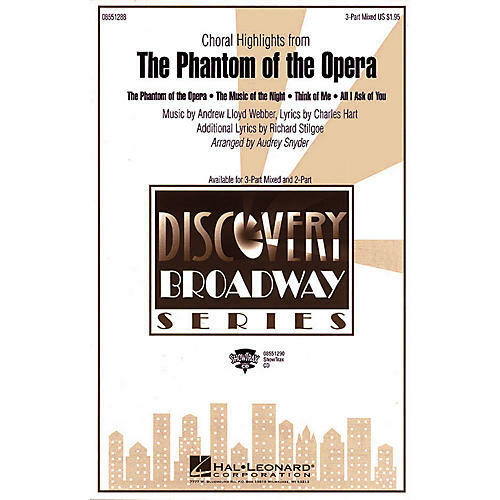 Includes: All I Ask of You, The Music of the Night, The Phantom of the Opera, Think of Me. Available: 2-Part, 3-Part Mixed, ShowTrax CD. Performance Time: Approx. 6:40.